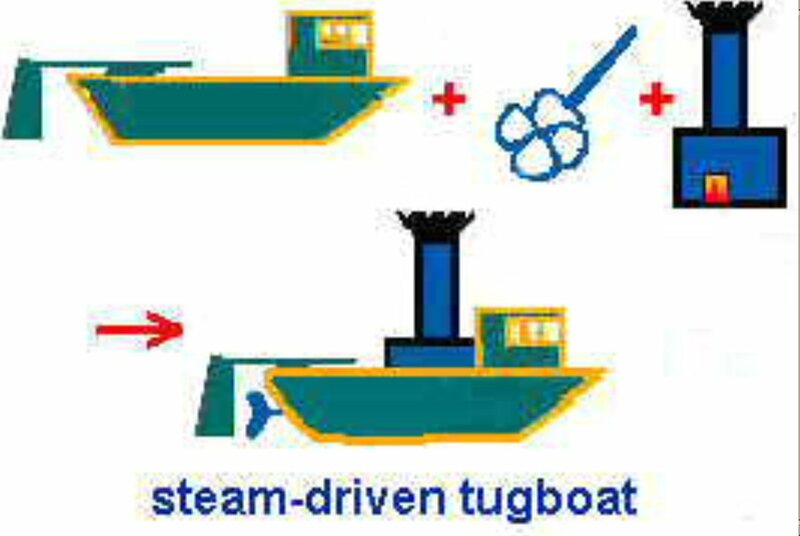 Tug Boat History, Vinik Marine, Inc. 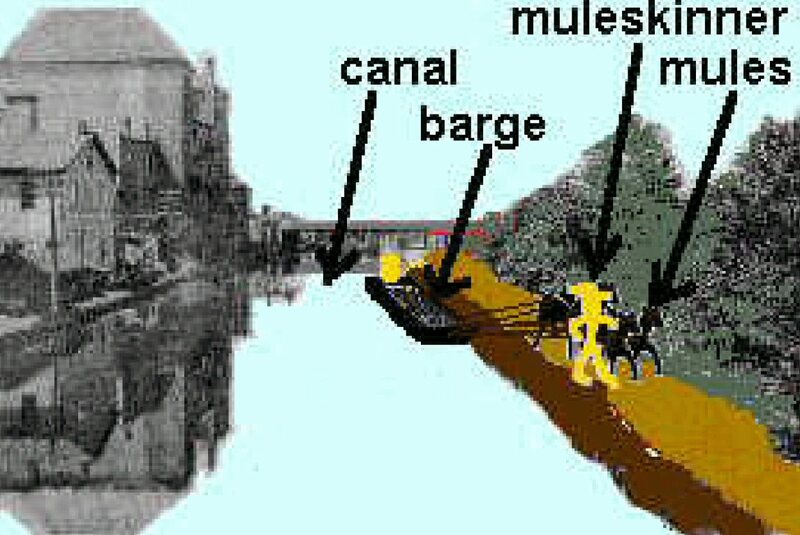 In the early 1800s, before tugs, fleets of 8 to 10 manpower rowing or tow boats towed sailing ships to their berths. 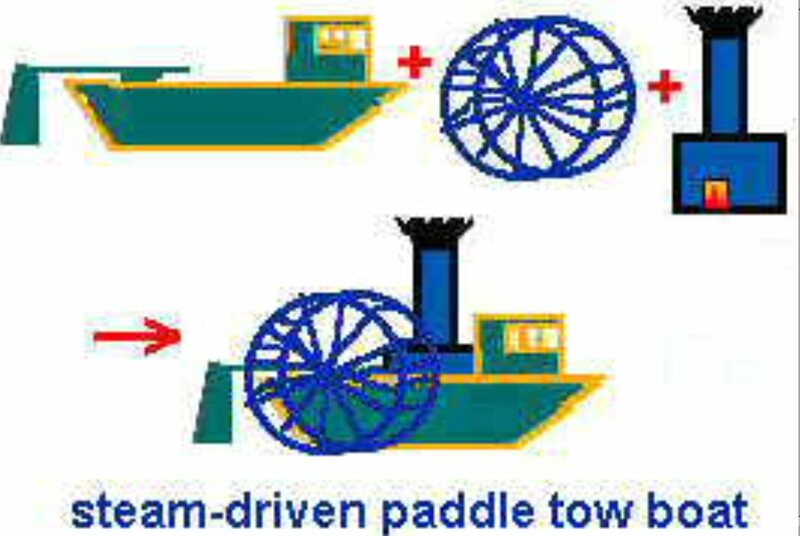 Robert Fulton's steam and a side paddle wheel were used in 1828, to convert the Rufus W. King to a tow boat and the industry was revolutionized. New York was the birth place of this world wide revolution and the Rufus the first baby. The Sampson became the world's first tug boat, when in 1850, it was built and propelled not by paddle wheel, but with the a steam turned propeller. Again, the birthplace is New York. Again, the industry is revolutionized. 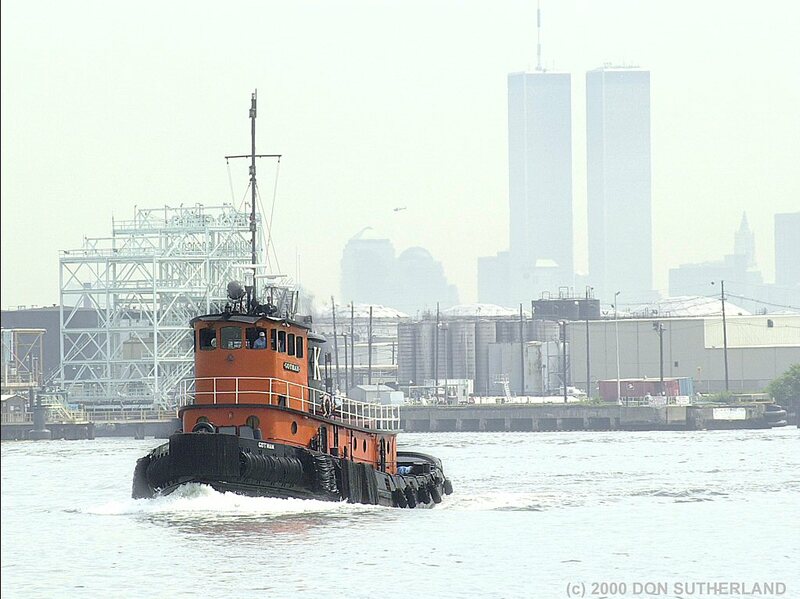 The tug boat became a symbol of New York. Do you recognize this vessel from 1960? It's the Standard Oil of Company of New York's Number 11, the SOCONY 11, or the Gotham before and after her work with steel from 9/11. You see before you the Dorothy Elizabeth. As I was saying, The tug boat became a symbol of New York in part through the work of people like Mike Moran. 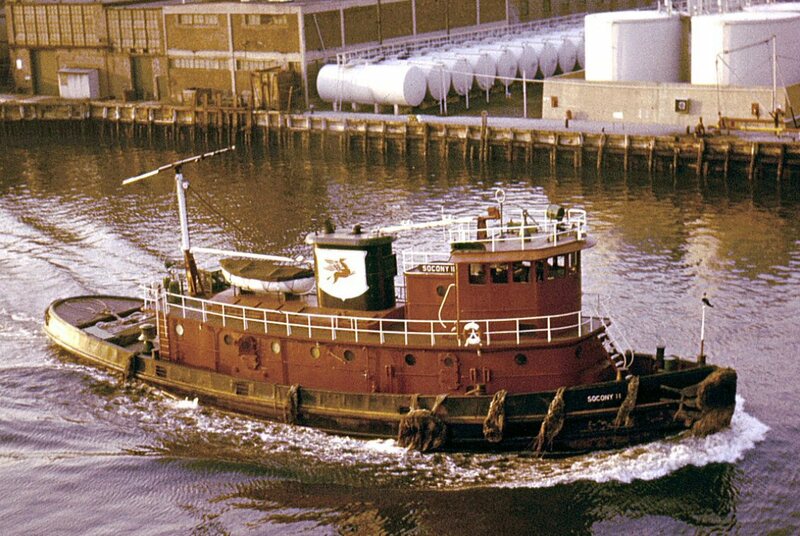 Although no longer family owned, today, the Moran Towing Corporation, Inc. was the largest privately owned tugboat company operating on the East Coast. But the story here begins with Michael, not our Michael Vinik, but, the 22 year old immigrant Erie Canal muleskinner Mike Moran. In 1855, he bought his first barge. 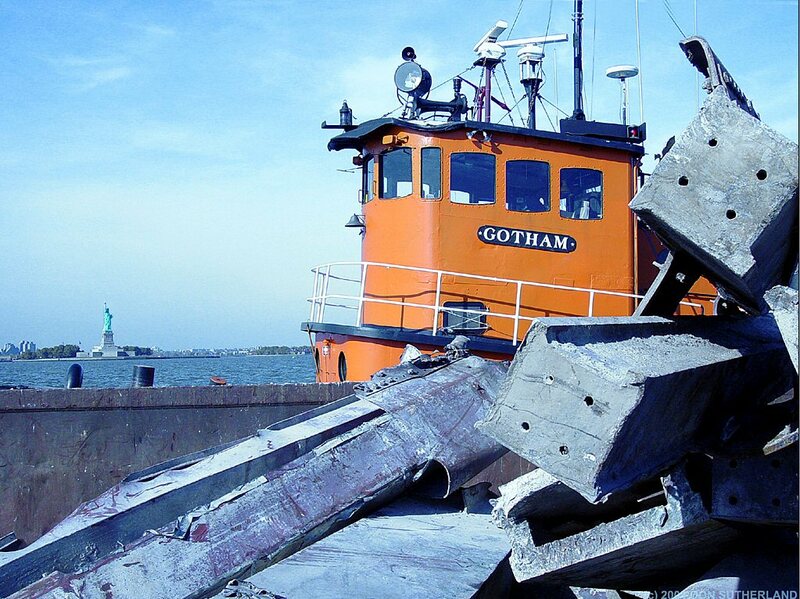 At 27, he bought more barges, and became a New York City tugboat agent. At 30, he bought half interest in the steam tug AIda Miller. At 48, Moran Towing had its first tug built, the Maggie Moran. With the Maggie, Michael Moran started the tradition of naming tugboats after family members. About the same he began the tradition of painting a block letter "M" in white on the black smokestacks of his tugboats. As Moran the dynasty and the company grew, so did the number of captains and tugs bearing the name and the number of white Ms painted on black stacks. Soon other companies grew with similar traditions first McAllister, later Reinauer, Bouchard, and others.